It's always nice to write up a ukulele review of a musical instrument from a luthier as opposed to a factory. There is something just special about hand made things. 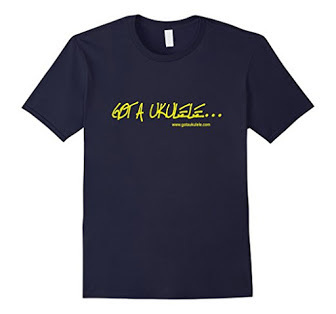 And this one is quite different to, well, pretty much most other instruments you will have seen on Got A Ukulele. Be prepared to look VERY closely at the 'Nano' from Andy's Ukuleles. In fact, you might need to zoom the web page.. 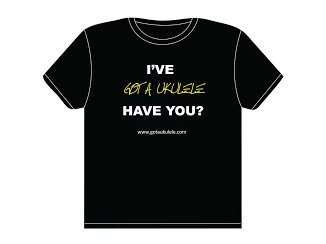 The 'Andy' in question here is a well known chap in the UK ukulele world, full name Andy Miles who hails from Berkshire in the UK. Ukulele building is something of a sideline for him that started with a project that I believe was simply a case of 'I'll see if I can do that'. 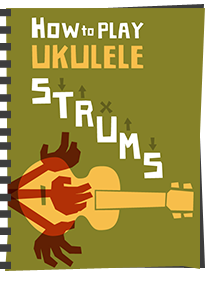 That developed into salvaging necks from cheap or broken instruments to make cigar box type ukuleles, and more recently he's been making a name for himself in sub-soprano instruments. 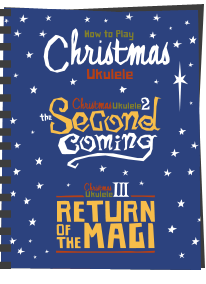 And we are not just talking sopranino scale ukuleles here, although Andy does make those too, but he hit on a wave of popularity with his Nano range of ukes. These are some of the smallest ukuleles I have ever seen. I will hesitate to call them the smallest in the world as there is bound to be someone who says 'ah, but I know one that is smaller'. But they are still REALLY small and the smallest I have reviewed in any case. How small? Well, they are half the scale length of a soprano ukulele and this one on review measures 29cm from tip to tail. That is seriously small. And playable too. Oh, did I not mention that bit? Yes, Andy makes these accurately such that they are tuneable and playable as instruments. It's the devil's work I tell you...! Now, on that point I make an early admission that this has been a really difficult review to write due to that scale. It would be wrong of me to call these a 'novelty' as I know the work that goes into them and they aren't just toys. I also know that some people have played staggering music on them as you will see from one of the videos below. Saying that, I also know that many people will look at them and think of them as nothing but a talking point ukulele. Something not to be taken seriously. So how do I cover that off in a review? As you will also see there are one or two other points that caused some difficulty, particularly in my scoring of this one. The point here being - this is not really comparable to any of the other instruments I have reviewed. You get the picture. What on earth to compare it to?! Anyway, enough ramblings. Let's take a closer look. The Nano is, as you can see, extremely tiny. Perhaps if I had not pictured it above in comparison to a regular soprano ukulele you wouldn't notice that at first glance. And that's because it's build and all the usual appointments are just like any other ukulele. We have a solid bodied instrument with a traditional double bout shape and it is all made from solid mahogany although Andy does make these in other woods to order too I should add. That body is otherwise unadorned in terms of bindings or soundhole rosettes, as I would imagine that would be incredibly fiddly to do! Finishing the body are some coats of Danish Oil and a final french polish finish on top. It gives the ukulele a very classy and traditional look that you'd expect from things like vintage Martins. It's not a glossy finish that some may prefer, and is very much hand-made in its look, but it's something I like. Bridge wise, this is an unusual through body style, made from mahogany and fitted with an ebony saddle. Through body stringing means that you have to feed the string through, fish it out of the sound hole and knot it before pulling it tight. It's fiddly enough on regular scale ukulele but I am informed that on the nano, you may well need tweezers... There must be a technical reason for having a bridge like this, probably about strength of the small bridge plate, but there is no getting away from the fact that it will be fiddly all the same. Extremely. Body wise it's incredibly well put together and feels like a good luthier instrument should. Looking inside shows that Andy has done a tidy job with the construction too. The kerfing is unnotched which does not suprise me being this small, and due to the scale, the bracing is mininal. In fact I don't see back braces at all, but do spot one on the top just south of the soundhole. The top and back are single pieces and the sides are in two pieces. The outer finish also does a great job of showing off the grain and warm orange colour of this wood. Moving on, we have a single piece mahogany neck topped with walnut fingerboard. The fingerboard wood is really nicely finished with rolled edges and a nice curve to the end where it runs over the body. Fitted into this are 12 nickel silver frets to the body, all dressed nicely too. The edges are unbound, but there are no sharp bits at all. We have pearly inlaid fret markers at the 5th, 7th and 10th spaces, and these are repeated on the side too. The other element of the neck that pleased me (and relieved me!) was that the nut width was wider than you'd expect it to me for the scale. I bang on about this subject so much, but as I point out - nut width is more important for people with big hands than bigger scales are. This is where the space matters. 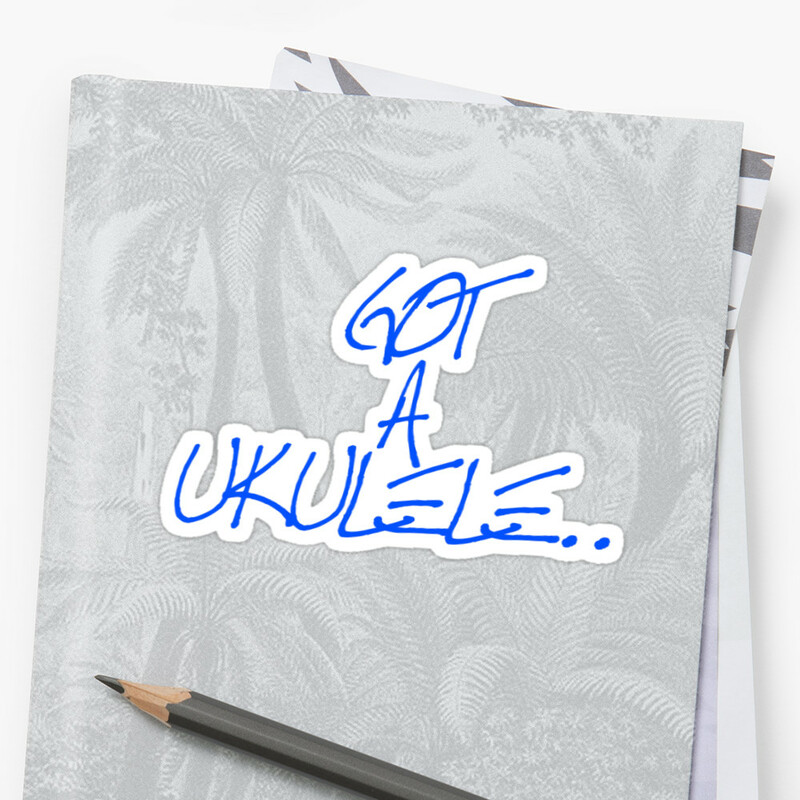 Regardless of whether you have big hands or not, this is a VERY small ukulele, so trust me, you ARE going to want as much space as you can get here. Anyway, this is 30mm across at the nut. When you consider the much bigger Ohana O'Nino is 33mm at the nut, that makes this, comparitively a wide one. Also worth mentioning here is the fact that in addition to those 12 playable frets we also have a 13th in the form of a 'zero fret' right next to the nut. This has the advantage of making the intonation at this end as accurate as it can be, with the nut being relegated purely to keeping the string spacing correct. It's a nice feature and you don't see them too often. I understand totally why he has employed it on the Nano. Moving past the ebony nut we have a plain, but nicely shaped headstock. Most luthier ukuleles omit gaudy maker names on the headstock and this is no different. It still looks nice though and fits with the classy vibe. I believe Andy previously carved these into more generic Martin crown shapes, but I like the fact he's gone more simple and avoided that Martin cloning that so many other builders choose to go with. Tuning is provided by unbranded cream plastic friction pegs. They are pretty cheap, but certainly didn't expect to see branded pegs on something so small, as I doubt they even exist. Naturally, friction pegs are the only option on this one for the same size reason - regular ones just wouldn't fit! Thankfully they work just fine though. Completing the deal are fishing leader line fluorocarbon strings in 40, 50, 60 and 30 lb test. It's actually the same gauge Andy would put on his sopranos, and the brand is Berkeley Trilene. It looks (surprise surprise) like most other clear fluorocarbon strings! Taking a closer look, as I say, this is extremely well built and I can see no flaws or issues whatsoever. You can tell this has been put together carefully by someone who cares about what they are doing. Naturally it's light (lighter than any other I have played), and whilst I normally talk about balance, this is just so small it's irrelevant. There's nothing to it! But you want to know about the playing don't you, and this again is where I found the review to be a difficult one to write. You see, bearing in mind the small scale, it's never going to be loud, that would be simply impossible. It will also be hard to get a massive amount of sustain out of such a small scale, and it IS short, but actually much longer than I expected when I first picked it up. Incidentally, it's tuned at GCEA one octave above soprano, as is Andy's recommendation. Considering the scale is half the soprano, doubling the tuning up seems to make logical sense. But for that reason it's hard to review this as a more serious musical instrument against others on my reviews page and I hope that Andy won't be offended for me saying that. What I mean is, you would struggle to mix this in with, say, a tenor ukulele and get it to match. In fact the low volume means you'd probably struggle to perform with it unless you relied on a microphone to amplify it. Neither of those things are complaints, as it is what it is, but I just don't want people buying them and expeciting to mix in with their local ukulele jam as it is. (And yes, I also recognise that people are bound to message this post and say "I do just that!"). All in all, it's a great little build, and yes, certainly a great talking point. I can't remember a preview photo of a ukulele that I threw on Facebook that received quite so much interest as this one. 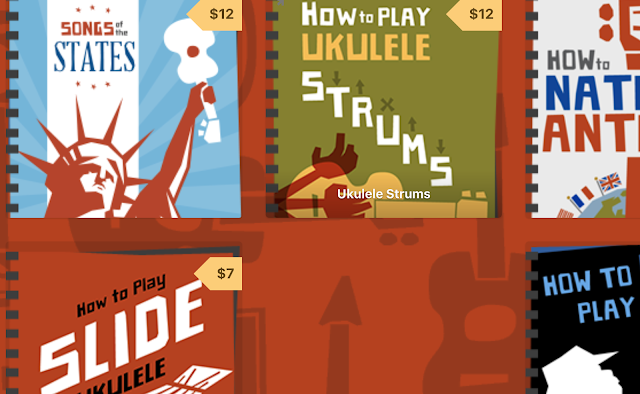 I also can't remember a ukulele coming in to Got A Ukulele towers for review that had so much interest from my nearest and dearest (and as you can imagine, they see a LOT of instruments). There really is much to love about it. In fact when it arrived by post - Andy had packed it in a plastic sandwich box - that's how small it is! If you are a beginner, it might totally fox you in playability, but for a more seasoned player, I think it may present an interesting challenge for your practice routines. As for that scoring, some may question some of the numbers I have given it, but I've tried to take into account both the 'talking point' element as well as the fact that it IS well made and nice looking. Looks and fit and finish are a given, they are both good. Sound wise, well I guess it's NOT a serious instrument and doesn't have high volume or massive sustain, something I'd normally pick a ukulele apart for. But that isn't a fault when you consider the scale, and it does what it does very well. I thought a fair score of 8 was appropriate so long as you are not expecting a super loud long sustaining big instrument. And when it comes to the price - bear in mind though that this is not a factory instrument with huge branding and marketing money behind it. It's hand made by one guy with a lot of care and attention using his own time and efforts.... to order. I'm afraid that costs as it rightly should. So price is relative really. Likewise, I considered 8 to be a fair high score on this front. And if you think it should be cheap just because it's small then a) you don't know how ukuleles are made and b) by that reasoning, small items of jewellery should be cheap..
All in all, I think it's a lot of fun and will rightly generate a lot of interest in ukulele circles. In fact I can see most people wanting one to keep on their desk or throw in the overnight bag for the fun of it. 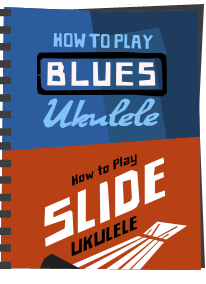 It therefore ends up with a score in the high 8's from me, which for Got A Ukulele puts it firmly in the 'recommended' category. In fact I would rather this one didn't have to go back. A serious instrument for all round performance? No, clearly not, but so what? It made me smile. Wonderful instrument, made by a true craftsman. Thanks Barry. Enjoyed the review. Have a great day. Wow, that's a nice little instrument. Smallest uke I've seen in person is the Kala Pocket uke, which, while seeming ridiculously small, would probably look huge compared to this. Sure, you'll get more used to playing it, but whether you'll get used to the octave higher! I love mine. Wish I could play it well though. Beautifully made instrument.